The Noble Eightfold Path is a foundation teaching of Buddhism, accepted by all branches of Buddhism in some form. It is the fourth of the Four Noble Truths, which were the first teaching of the Buddha after his enlightenment. 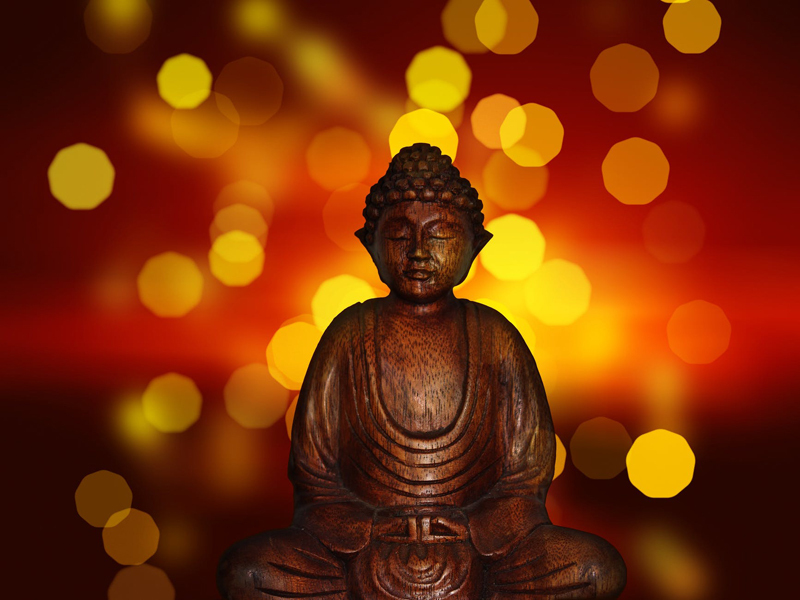 While the first three truths concern the nature and origin of suffering, the Eightfold Path is the Buddha's teaching on how to cease suffering, or how to awaken. This path is also called the 'middle way', because it is based on neither self-indulgence nor self-mortification, two extremes common in other spiritual teachings of the period. The Eightfold Path consists of eight aspects, each beginning with the word samyanc (in Sanskrit) or samma (in Pali), which is usually translated as 'right', and denotes a sense of 'ideal' or 'complete'. 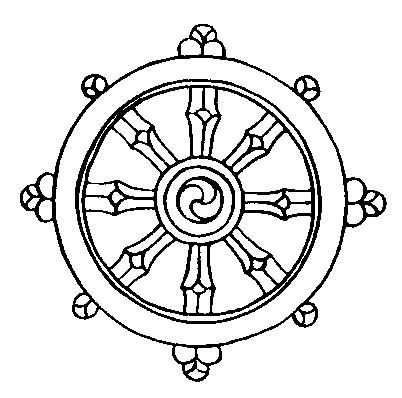 In some Buddhist traditions, the Eightfold Path is represented by an eight-spoked wheel called a dharma wheel. This represents the inter-relationship of all the elements, as they are not meant to be practiced in a certain order, but contemporaneously. Each Buddhist tradition interprets them slightly differently, emphasizing certain aspects over others, and many have separate interpretations for monks and laypersons. - Traditionally, the five businesses listed as harmful are those having to do with weapons, human trafficking, meat (part of the case for vegetarianism, for those Buddhist traditions that are vegetarian), poisons, and intoxicants. An understanding of each of the eight elements deepens over time, and emphasis may shift from one to the other as a practitioner progresses, usually under the guidance of a teacher. In the Mahacattarisaka Sutta, the Buddha teaches that a proper understanding of all eight elements leads to the cultivation of two additional ones - Right Knowledge and Right Liberation. Right knowledge is direct insight into reality. Right liberation is awakening, and the ultimate fruit of practice. Note that this article is included in the e-book Introduction to Buddhism and Buddhist Meditation.